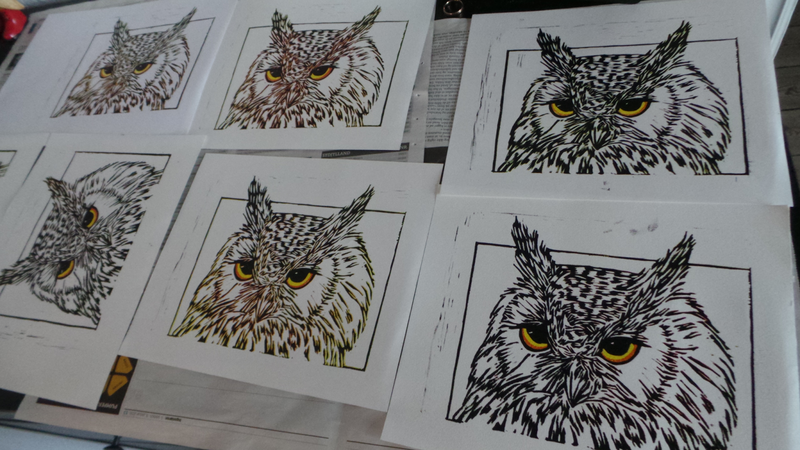 I'm finally done with my last layer of my owl reduction linocut. I'm quite happy with the results, although only a few prints came out decent. 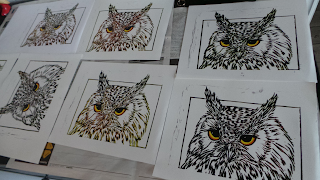 I think I will continue to work on this "birds" prints for a while until I get the hang of it, they will make a nice addition to my portfolio.